New research has investigated how our brains turn experiences into memory. A team from the Yale School of Medicine in the US has observed how newborn rats first navigate and begin to remember the environments they are born into, in order to gain new insight into how brains develop the ability to turn experiences into memory. They found that episodic memory develops in distinct stages during postnatal maturation in rats. The hippocampus, a tiny lobe of grey matter located in the centre of the brain, is critical in turning the events of our day-to-day lives into memories. Experiences are replayed in the brain during sleep or rest, encoding repeated encounters and environments into memories that we can recall. Previous research has suggested that the hippocampus’ ability to rapidly encode memories is aided by a selection of pre-configured neuronal patterns, which integrate many different types of information from across the nervous system. To find out more details, researchers began recording the neural activity of newborn rats as soon as they opened their eyes and began exploring their environment both before and after rest and sleep sessions. The study identified three age-dependent and distinct stages in the development of neuronal ensembles. By the second week of life, the rat brain can represent discrete locations. However, the brain cannot bind these representations to time-compressed sequences during sleep, which is required to encode them as memories, until the rats are at least three weeks old. The authors suggest that the formation of these neuronal sequences begins spontaneously during sleep and is likely controlled by signals sent from other areas of the developing brain. 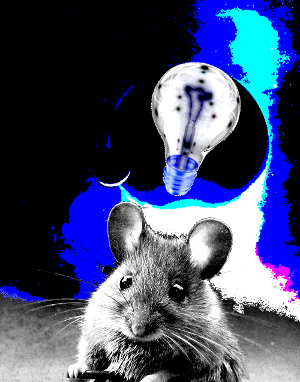 By four weeks, the rats exhibited adult-like episodic-like memory functioning.